This review was first published in RCM&E magazine in August 2016. It is reproduced by kind permission. 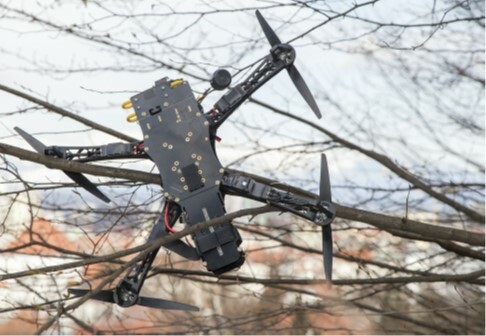 Loc8tor is one of those gadgets that we all hope we’ll never need yet could easily pay for itself after just one landing in long grass. 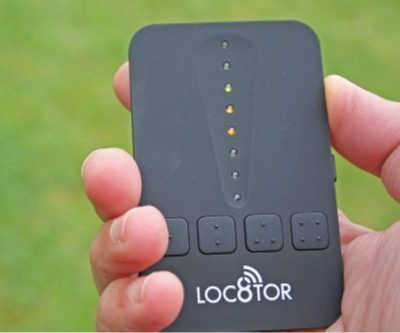 The Loc8tor is a device designed to assist in finding valuable items that, for whatever reason, become lost. 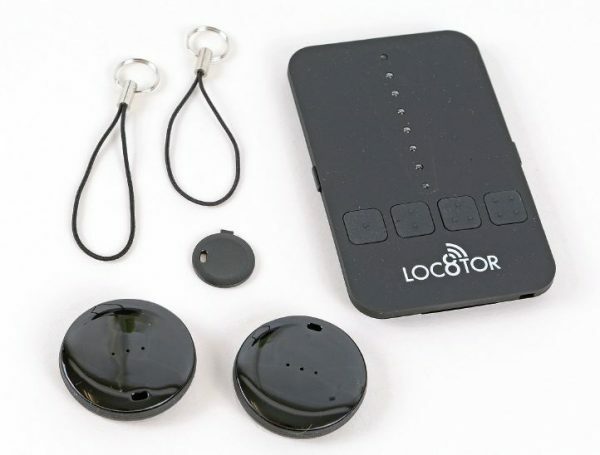 It is a radio-based system, which consists of small electronic tags (fixed in some way to the item to be tracked) and a receiver, which is used to locate the tag when the item is mislaid. Clearly, this could have some application in our field of endeavour as, however good you think you are, sooner or later you’re going to lose a model. Let’s look at what the system can do. Loc8tor Lite consists of two of the small tags, the receiver, adhesive strips and key ring loops to attach the tags, a tool to open the tags for battery replacement and an instruction booklet. The tags are small, circular items about 30mm across and weighing just 6g each, so should be of no burden to even the lightest of models. The receiver is a flat package identical in size to a typical credit card and only about 6mm thick. There are four buttons and a line of LEDs on the top surface plus two further buttons, one on each long side, and a small status LED. The credit card size receiver uses audible tones and LEDs to lead you to the hidden model. The tags need to be ‘registered’ to the receiver before use and up to four tags can be registered. The tags supplied for review had already been registered, but I un-registered and re-registered them to check the whole procedure (which is very easy and well documented in the instruction booklet). After quickly reading the instruction booklet to see how to proceed, it was time to test Loc8tor. For a test, I got my partner Jill to hide a tag at the bottom of the garden, with the exact location unknown to me. The receiver was then turned on with a long press to the right-hand button. A beep and a flash of the LED line greets you. You then need to press one of the four buttons. At this point you need to know which tag is registered to each button, plus which tag is lost, so, lesson 1, make sure that you identify each tag appropriately. After a few seconds the status LED starts to flash rapidly and one or more of the line of LEDs lights up. The line starts red at the bottom, moving through amber with green LEDs at the top. The unit starts to ‘beep’ too. From this point on the receiver unit will guide you to the lost tag. The principle is that as you get closer to the tag the pitch and frequency of beeps rise and the line of LEDs grows in length, changing from red to amber to green. Weighing just 6g, the tags should easily find a home in most models. There is a technique to finding a tag, I discovered. Initially, depending on how far from the lost tag you are, you may only get one red LED. If you have literally no idea where the tag may be then you need to slowly turn in a circle and note where most LEDs light and the pitch of the beeps is highest. Move in that direction and, hopefully, more LEDs will light and the beep pitch will rise. At the flying field I found that, in practice, you need to perform the slow turn from side to side at intervals, to ensure that you are moving in the correct direction. As you get closer (i.e. when you start to see green LEDs illuminated) it is worth pressing the left-hand side button to mute the receiver. You may then be able to hear the tag beeping. Yes, the tag beeps too! If you can, then you may be able to home in on it using the tag beeps alone. If not, then re-enable the receiver audio and carry on with that to get closer. Eventually, the beeps turn into a continuous tone; by then you are within just 4-5ft of the tag and should have no trouble finding your lost model. The system is claimed to have a range of up to 400ft, but this is very dependent on terrain and local circumstances. 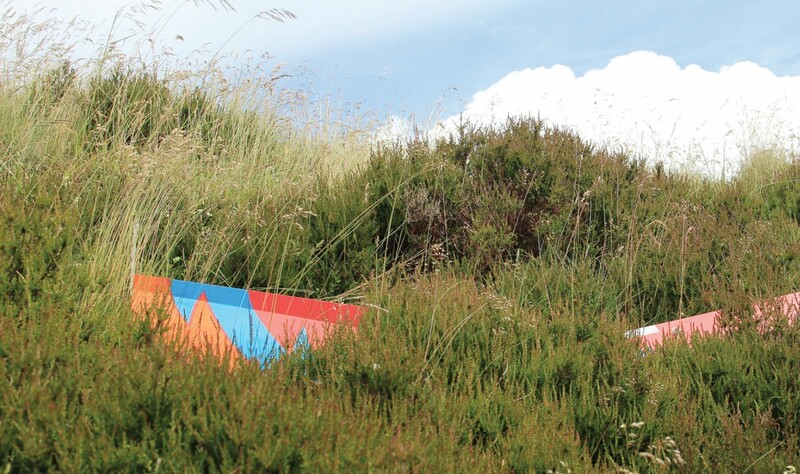 For finding a lost model, you may well have to walk some distance before you are in range of the device. The range may be a little better for a model lost in a tree though.